Daisen G Beer Imperial Stout is a 9% imperial stout from Daisen G Beer, based in Tottori, Japan. It’s part of their annual winter seasonal lineup, and is released alongside their barley wine and wheat wine at the end of January / beginning of February. The most surprising thing about Daisen G Beer Imperial Stout is that it is brewed with three different kinds of black malts. 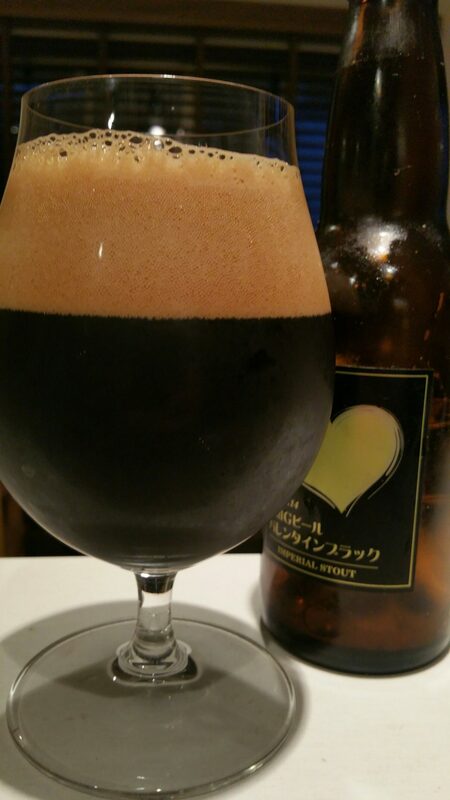 At the time of writing, Daisen G Beer Imperial Stout can be found in both bottles and on tap. This will put hairs on places you don’t need them. First things first, a little backstory about this bottle of Daisen G Beer Imperial Stout was bought from Yamaoka Saketen in 2015, soon after it came out. I was cycling from the shop to my hotel, just a couple of minutes north of Bungalow, and it was one bumpy ride back. I thought the bottles of beer were going to shoot out of the shopping basket or worse, break in the basket. Luckily, they all made it back though I “forgot” about this bottle. Daisen G Beer Imperial Stout didn’t end up being a bottle bomb after all that time but it was still quite lively, producing a thick pitch black body with a fair amount of frothy tan coloured head. So much going in Daisen G Beer Imperial Stout that I don’t know where to start really. It had a beautiful aroma of chocolate, liquorice, brown sugar, along with a slight creaminess to the nose with some hints of coffee. It smelt incredible when chilled and even better once it had warmed up. If you read BeerTengoku, or know the styles Joe or I prefer, then you know about my love of imperial stouts. Daisen G Beer Imperial Stout exemplified this perfectly – it was slightly boozy with large flavours of chocolate, coffee, vanilla, creamy, roastedness. It was so well balanced that no one flavour dominated over the other, nor did the flavours become sickly when it had warmed up. The aftertaste of roasted chocolate goodness had me coming back for more – I only wish I had bought more of them now. Daisen G Beer Imperial Stout is one of the best Japanese imperial stouts I’ve had. Pick a few up and age some of them.